For many workers injured on the job, obtaining the workers’ compensation benefits they deserve is not easy. Workers’ comp insurance companies routinely deny these legitimate claims to save money, forcing workers to file appeals and to wait to receive their benefits. If you are in this situation, you are certainly not alone in having to fight for what you are entitled to. Fortunately, workers do not have to prove fault to obtain benefits under New Jersey’s workers’ compensation law. This means that you do not have to show your employer’s negligence caused your accident or that you were not at fault, except for a few limited exceptions. However, you will still need to prove your case, and that is where evidence and witnesses can help. Medical records. 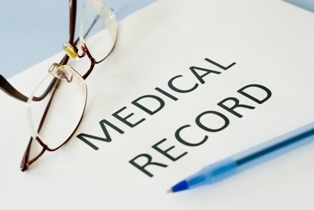 Medical records are vital to your case. They can help prove that you suffered an injury, how your accident caused your injury, your medical treatment, and your medical prognosis—all critical in establishing your right to benefits and how long you should receive them. Medical bills. These can establish your treatment and the cost of obtaining medical care. Accident report. You should obtain a copy of the accident report you made with your employer when your accident occurred. If you were hurt in a work-related vehicle accident, you will need a copy of the police report as well. Employment records. Employment records can help show that you had a professional relationship with your employer at the time you were injured. These documents and your paystubs can also prove the amount of your weekly wages at the time of your accident and other helpful information to support your wage claim. Co-workers and other witnesses to your accident. Employees and anyone else who saw your accident can be helpful in establishing that your accident caused your injuries. Medical experts. Your treating physician, other physician, physical therapist, chiropractor, or other medical professional will be crucial in showing that you suffered an injury, what caused it, your treatments, and your final prognosis. They can also establish that your injury was not a preexisting injury or one caused in another non-work related way. Mental health professionals. If you suffer with depression or another mental health disorder as a result of your accident, a social worker or other mental health professional can help you prove how your injury caused your condition, the treatment you need, and its cost. Occupational experts. If you claim you can no longer work or perform the duties of your job where you were injured and the insurance company disputes this, an occupational expert could be needed to analyze your abilities and limitations and what jobs you are able to perform. Economic experts. If you have become permanently disabled or limited in the types of jobs you can perform, an economic expert can be useful to determine your future lost wages, benefits, retirement income, and future earning abilities. This can help your attorney in negotiating your settlement or proving the compensation you are entitled to at a workers’ compensation hearing. An experienced workers’ compensation attorney will be able to advise you on the experts you need based on the disputes in your case. He will also have a network of experts who could be qualified to give an opinion and who understand the issues in workers’ compensation cases. If you were injured in a workplace accident, check out my testimonials to see how I have helped workers like you and call me at 877-360-0183 to schedule a free, no-obligation consultation.